WhatsApp is most popular Messaging app . WhatsApp lets users to send free messages and smilies , Photos , videos , audios , and some files from WhatsApp to WhatsApp user . 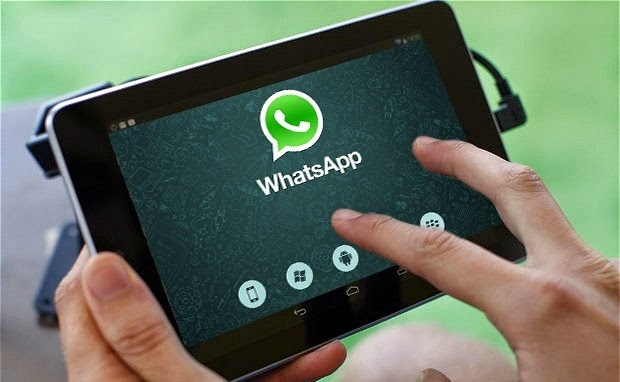 WhatsApp is available for free on Playstore for Android , But The original WhatsApp can't be installed on Tab ( Android Tablets ) . But i have found a trick to trick whatsapp and Get it installed on Any Tablet . 2. Download Titanium Backup from above link . 4. Now Copy your Titanium Backup folder from your Android smartphone and Paste it on Your Tab memory . 5. Now Install Titanium Backup on Your Tab and Restore Whatsapp from it . If you find any problem then please comment below !